Little known, Leader International announced 9.7-inch Impression 10A (I10A) and 7-inch Impression 7A (I7A) tablets running Android 4.0. Equipped with a powerful 1GHz NVIDIA Tegra 2 dual core ARM Cortex A9, the I10A runs Android 4.0 with Flash 10.3, and its 9.7-inch capacitive (5-point) widescreen IPS display delivers brilliant color, 1024x768 resolution and wide viewing angles. The I10A features 2.0MP front and back cameras and includes the Fring videoconference app. 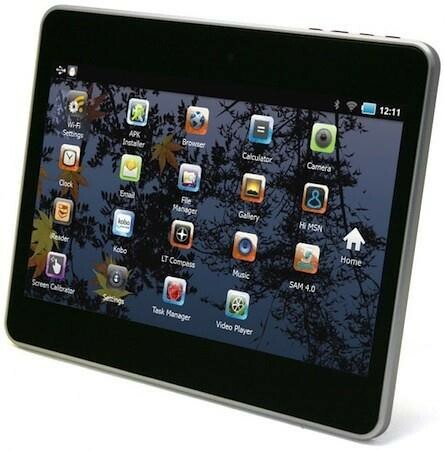 The I7A features a 1GHz processor and 512MB RAM, and runs Android 4.0 with Adobe Flash 10.3. The tablet's seven-inch capacitive WSVGA display offers a 178-degree viewing angle and delivers 1024x600 resolution. Other features include a micro SD card slot with 16GB capacity and a mini HDMI port. The tablets will be available at major retailers at the end of Q1 with MSRPs of $299 (I10A) and $179 (I7A).